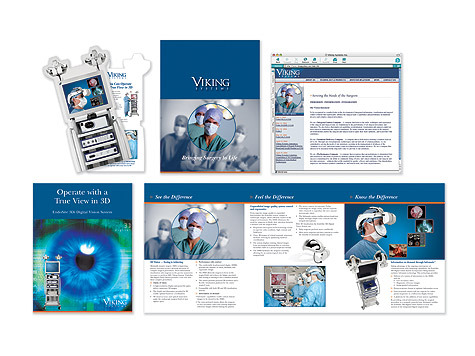 Viking Systems needed to establish a corporate identity, then create a compelling, differentiated message for the launch of the EndoSite 3Di Digital Vision System. Cita developed the product positioning, corporate identity and creative campaign in record time for the tradeshow launch. This new advance in minimally-invasive surgery impressed key opinion leaders and the media. The tradeshow mailers and booth activities generated over 100 highly qualified leads. Today, 3Di Vision Systems are installed in hospitals worldwide, including Washington University's Barnes-Jewish Hospital, Stanford University Medical Center, and H. Lee Moffitt Cancer Center.